ICIT feels obliged towards the community and tries to give back in terms of some of absolutely free services open to all. 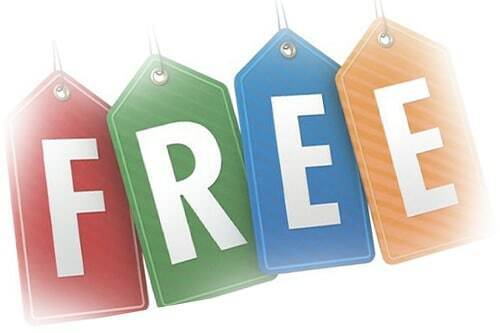 Look for freebie announcements on our Facebook and on our news feed. We Don’t charge for everything! This is absolutely free of charge service for all to benefit. Just call and book an appointment for one of the available slots and bring your resume. Our experts with Corporate experience will review and update it with key words used in the industry. Do not post your resume unless you are absolutely sure it does not have elimination factors in it and you are sure it will get you the interview calls. From time to time different branches of ICIT announce free one or two day Excel and SAP sessions like a refresher course. This is organized two or three times in a year at each branch. Just look at our facebook and web page announcement, call and book your spot on first come first serve basis. This is absolutely free of charge session. Bring your laptops to practice. You will get the most from this session that what we hope! ICIT professionals help you to prepare for interviews. We provide you with interview tips, most commonly asked questions by HR and by hiring managers and DO’s and DON’Ts for interviews. If you have an interview call, just call and bring your resume and job description to us. We will prepare you thoroughly for that mock interview absolutely free of charge. We will guide you exactly what questions will be asked and how to answer them. If you have an Accounting and Finance background, have relevant degree and qualification, required experience and have required skill sets for a job in this field, we will help you in getting the right job absolutely free of charge. ICIT does not want you to waste your time and money in upgrades and courses. If you have the right skills and experience just call and book an appointment. Want to avail these free Services? we will respond Positively!